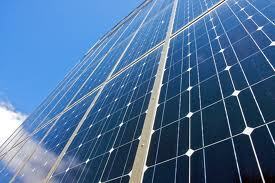 The Solar Panel industry is gaining importance in today’s world. With rising electricity bills and fossil fuel prices, solar panels are becoming an easy and a more like-able option worldwide. However there are so many solar panel companies today, that it becomes increasingly difficult by buyers to decide upon which one to buy. I receive numerous queries from such readers/ buyers asking me for suggestions upon the solar panel brands to buy. My best picks for 2013 are listed here. Given below is a comparison between both the brands which will give a fair idea about the solar modules of both Trina Solar and JA Solar. Trina Solar (TSL) is one of the foremost solar panel companies and is also a low cost manufacturer of solar modules in China. Founded in 1997 with 12 offices worldwide, Trina Solar has partnerships with leading installers, distributors, utilities and developers in all major PV markets and is listed on the NYSE. JA Solar produces solar modules at low costs and supplies them to solar manufacturers globally. The company has two solar cell manufacturing facilities, one located in Ningjin, Hebei Province, and the other in Yangzhou, Jiangsu Province. JA Solar sells solar panels as an OEM Solar Panel Producer which means that it sells its solar panels to companies who put their own brand names on solar panels produced by JA Solar. Trina Solar is a fully vertically integrated company, right from the production of ingots to modules into both mono and multicrystalline technologies. Trina Solar modules are classified for convenience into: Business Need – Commercial, Residential & Utility; whereas JA Solar come in both Monocrystalline and multicrystalline make. Trina Solar offers i) PA05: 60 cell Universal (residential, commercial and utility) ii) PD05: 60 cell Dual Glass (residential, commercial and utility) iii) PA14: 72 cell Utility, iv) PD14: 72 cell Utility under multicrystalline make. JA Solar makes i) SECIUM JAM5 72, ii) SECIUM JAM6 60, iii) SECIUM JAM6 72, iv) JAM(L) 72, v) JAM6 60 under monocrystalline panels and i) MAPLE JAP6 60, ii) MAPLE JAP6 72, iii) JAP6 72 and iv) JAP6 60 under multicrystalline solar panel category. In Trina Solar the cell type are 125×125 mm in monocrystalline modules and 156×156 mm in multicrystalline modules. For JA Solar they are 125×125 mm, 126×126 mm and 156×156 mm. The solar modules’ wattage for Trina Solar range between 240 W – 305 W, for JA Solar modules the wattage range is 195 W – 320 W.
JA Solar panels have the traditional Aluminium frames. Whereas Trina Solar modules have frames made of Anodized Aluminum Alloy. Weight for JA Solar modules is 15kg, 15.5 kg and 18.5 kg, whereas for Trina Solar modules it is 15.6kg for monocrystalline panels and 19.5 kg and 28 kg for multicrystalline modules. Trina Solar modules have a power output ~0-+3% and JA Solar modules come with a positive power tolerance of ~0-+5W. Trina Solar Modules are manufactured according to international Quality and environment Management System Standards ISO9001, ISO14001. JA Solar Modules have IEC, CE and UL certifications. JA Solar come with a 10-year quality guarantee and 10-25 years power output guarantee and Trina Solar come with a 10 years product warranty & 25 years linear power warranty. For other technical details, you can look into the respective websites of JA Solar and Trina Solar.